Franck Vigroux is both a musician and a director. As a composer-performer he has the rare capacity to produce a very wide range of sounds from electroacoustic to industrial noise, modern composition and experimental electronic music. 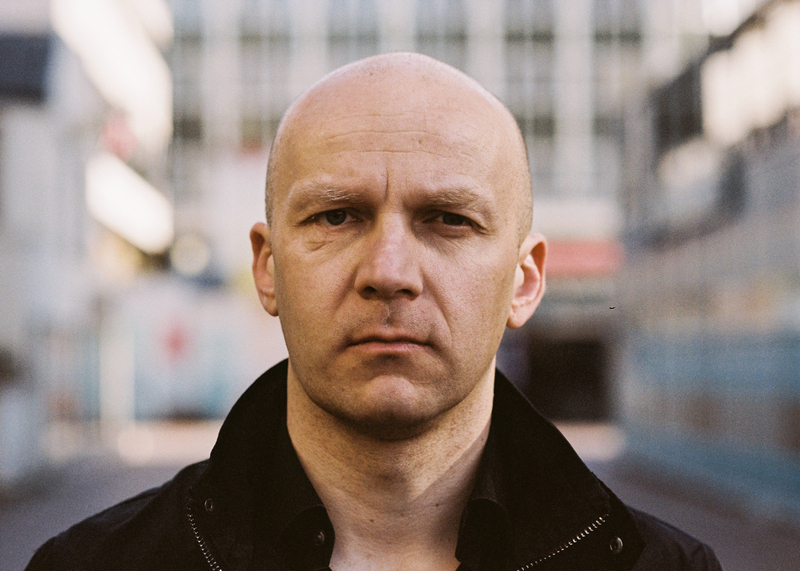 He has performed and recorded with internationally renowned musicians such as Mika Vainio (Pan Sonic), Reinhold Friedl, Elliott Sharp, Joey Baron, Zeena Parkins, Ars nova ensemble instrumental. The uniqueness also comes from Vigroux’s artistic approach that integrates new media and performing arts. Since 2009 he has designed trans-disciplinary shows and collaborates with Compagnie D’autres Cordes, a production agency dedicated to performing arts. His work has been presented worldwide at major international festivals. Recently, he’s developed audiovisual performances Centaure (with Kurt d’Haeseleer) and Ruines (with Félicie d’Estienne d’Orves, Kurt d’Haeseleer, Cyrille Henry and many others). I played in a lot of different bands as a guitarist, from metal when I was young to free improv. I had the chance to explore a wide range of styles and to meet and work with amazing musicians. I have tried to always be curious an open to all music and arts. You also work as a director in the performance context. How did this interest develop? It came when I started to work on radio pieces using spoken word, then on my own videos and finally as a musician in performing arts. I learned how to make music with text, images and moving bodies – a different approach to composition and improvisation. Finally I started to create my own performances with music and other disciplines; something I like to call “electronic opera” or Gesamtkunstwerk. A certain dramatic aspect is important? Absolutely, otherwise music doesn’t need anything else. Your music can be quite raw and direct. Can you describe your sonic aesthetic? Most of my music is based on the mix of beats, noise, drones, polyphonic sounds. Some of it is harsh, but not all of it. I’ve even released a solo guitar album recorded with just guitar, playing a kind of blues in my own way. This was actually the first music I learnt as a teenager. When you work as a director – I guess it’s a different approach to direction. As a director I have quite a precise idea how I want the performance to look like and what it has to talk about. Also my overall responsibility is to write something coherent in collaboration with other artists. The people I work with like video artists, choreographers, dancers, singer or playwrights are chosen carefully because they have a huge influence on the final result. The combination of our works creates something special. One of your videos, Centaure, for instance, features advertising messages juxtaposed with CCTV crime footage. Is the message of the video something you also agree with? Yes, the video concept is clear “there’s something wrong here” . Does your music express some sort of dark Zeitgeist? Maybe, even though I don’t think it’s so dark. What does dark mean? I live in a very coloured world and I’m an optimistic person when it comes to many subjects. My music is the result of desire. I first create sounds, I select them and then I play with this material. My way of working is very intuitional. I don’t have some sort of concept even if there’s always a certain logic in my music. I explore sounds and forms and all possibilities of creating music and visuals together. I’m working on two projects – a new one with Antoine Schmitt, an audiovisual performance called Chronostasis, which is based on the concept of time reversibility. I’m also writing and directing a new production with dancers, video artists, automata, called Flesh. The project is about a man having a car crash, feeling no pain but entering a mentally unknown dimension. It’s very immersive. For instance, we work on perception effects. Flesh is the third part of a performance trilogy I started in 2012 with Aucun Lieu and Ruines. It will be premiered in March 2018. How important is technology for your work? I always try to be curious and try out new tools. The role of technology is only to serve a purpose. Could you talk about your multimedia project Tempest? The initial concept was to work with noise as a visual and as sound, a kind of cosmic Tempest. Antoine Schmitt and I are playing on a musical structure. We are observing each other, there’s no technological interaction, only human communication. Antoine works with 10,000 pixels which he controls live. There still a good deal of improvisation in that performance. We’ve been playing it for 4 years and it’s constantly improved. What is your relationship with visuals in general? There are musicians who don’t like visuals when playing live. When I do solo or group concerts I don’t want any kind of visuals. It’s the same if I’m in the audience. I don’t like video tapestry or any kind of adverts behind the musicians. Doing a live with visuals means to do a real work of cowriting with visual artists or programmers. It’s what I did with Centaure, Croix or Tempest. Concept and synaesthesia are essential to any project of that kind. Do you still make visuals? I used to make experimental films in the past, but I stopped. Recently I’ written a short film script for a clay animation film.